Chicken Soup for the Soul contributor Lauri Khodabandehloo has written many stories speaking of the special bond between those who are challenged with a developmental disability and the people who love them. 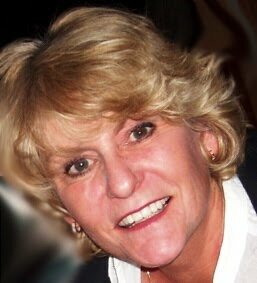 Lauri lives with her husband in Eugene, Oregon and remains active in the autism community. Embrace this mother's deeply personal account of tragedies and triumphs, along with joys and sorrows of raising a child with the devastating disability of autism. When I found out I was pregnant in July of 1980, it took me completely by surprise. But instead of feeling overjoyed about the news, I dreaded telling my husband. For seven long years, Cody had been working hard to save up enough money to buy his own restaurant, and it looked as if his American dream was finally going to come true. A fourth child would put an additional strain on our finances and might even jeopardize Cody’s plans, which was the last thing I wanted to see happen. We had also agreed five years earlier, after our daughter Farah was born, that we wouldn’t have any more children. Cody had desperately wanted a son, but he had come to terms with his disappointment and accepted that it wasn’t meant to be. Since then, I had been on birth control and never dreamed I would end up pregnant again. Now it looked as if Cody might get his boy-child after all, but I wasn’t sure how he’d react, so I decided to put off telling him for a few months—at least until I began to show. By September, I realized I couldn’t conceal my secret any longer, so I thought up a roundabout way of breaking the news. I watched from the kitchen doorway as Cody checked to see what was on the news and then glanced at the card, just as I’d hoped he would. I held my breath as he reached over and picked it up, read the front, and then opened it to see what was inside. He stared at the card for a moment and then turned to look at me. I could feel his eyes burning a hole in my head as he waited for me to respond, but I pretended not to notice, fixing my attention on the TV screen. I nodded silently without looking at him, then turned and retreated to the kitchen to busy myself with cleaning up. I couldn’t bear to see his reaction as the news began to sink in. Cody didn’t say a word about the pregnancy for several weeks, and I wasn’t about to bring up the subject for discussion. Doing so would only have ignited a conflict I didn’t want to have. It seemed the better part of wisdom to give him plenty of time and space to process things. I knew he’d say something when he was ready. When Cody finally broke his silence, he told me he wanted to schedule a vasectomy. He seemed just as shocked as I had been that I was pregnant. We couldn’t understand how something like this could have happened when we’d been so careful. Having another baby was the last thing either of us wanted at this point in our marriage. Cody didn’t want, or need, another mouth to feed as he was preparing to buy his first restaurant, and I had grown weary of the responsibilities of being a mother. For years I had been longing for a life of my own that would allow me the freedom to experience things I felt I’d missed out on because I had married so young. I had practically been a child when I married my high school sweetheart at eighteen, and by the time I was twenty, I had two baby girls to care for. I wasn’t ready to take on such weighty responsibilities, but ready or not, I had to grow up fast and learn how to meet the needs of the little ones who were depending on me. At twenty-five, I had gone through a painful divorce and struggled to cope with the demands of caring for two young daughters on my own. Then I met Cody. We both worked at a restaurant in San Jose, he as a busboy and I as a waitress. This handsome, dark-skinned man from Iran had the whitest teeth I’d ever seen and a sparkling personality to match. He spoke very little English, and what he did say was always laced with a thick Middle Eastern accent. He charmed me with his dazzling white smile and wit, and he showered attention on me and my girls. In just a matter of weeks, I found myself strangely attracted to this man who came from a part of the world I knew nothing about. Even though Cody and I barely knew each other and certainly didn’t love each other, marriage held undeniable benefits for us both. A couple of turbulent years trying to survive as a single mother had taken their toll, and I couldn’t handle the stress anymore. Marrying Cody seemed like the best solution, especially for my girls. Many years later I’d learn that Cody never believed in “falling in love.” In his country, a couple are married first—love and respect come later. After a whirlwind courtship, Cody and I took a weekend trip to Reno, Nevada, and got married at the county courthouse on June 12, 1972. Before the ceremony, my heart had screamed at me not to go through with it. I even prayed that God would intervene. But the terror of going on alone with two young daughters to care for overpowered common sense, and I ignored any reservations I had. As Cody and I left the courthouse that day, I told myself that I had married for the sake of my children and would learn to love Cody in time. Three years later, Farah made her grand entry into the world, and I resigned myself to another long wait before I could spread my wings and fly. Now, at thirty-three, I was pregnant with my fourth child and knew that I would be stuck in my stay-at-home-mom role for another five or six years. Freedom had been so close, I could taste it. My teenage daughters, Lisa and Lainee, were involved with their own friends and activities, and my six-yearold, Farah, had just started kindergarten. With all of my girls in school, I had been looking forward to time to myself in the mornings to run errands or talk on the phone without interruption, plan a coffee klatch with my girlfriend Randee, or just sit and watch a TV program that didn’t contain the loud and silly antics of colorful cartoon characters. But my wings had been clipped once again, and I was devastated. Some women in my situation might have considered terminating the pregnancy, but that was never an option for me. I had no right to end a life that God had created. In my heart I knew he had a reason for letting me become pregnant, though I didn’t have a clue what it was. I was also living with the painful memories of a D&C procedure I’d had after Cody and I married. I never knew whether I had actually been pregnant; the doctor said the test was inconclusive but that after seven weeks he’d be unable to proceed with any kind of “remedy.” Though I’d consented to go ahead as planned, I couldn’t bear the thought that I might have naively allowed the doctor to end a life that was a few weeks along. The experience left me devastated and overwhelmed with guilt, nearly plunging me into a breakdown. No, I would never allow that to happen again under any circumstance! Besides, no matter how I felt about having another child, I just couldn’t deprive Cody of one last chance to have a son. This fourth pregnancy turned out to be the most difficult one I’d ever experienced. Early on, I sensed that something wasn’t right, but I couldn’t put my finger on it. Then, at around five and a half months, the baby started kicking. I thought it would taper off in time, but instead, the jabbing became relentless, making my days miserable and robbing me of the few precious hours of sleep I so desperately needed. As the weeks passed, the pain and lack of sleep became unbearable, reducing me to tears at all hours of the day and night. I finally pleaded with my obstetrician to take the baby by C-section, but he just shook his head and looked at me as if I had to be kidding. The doctor responded sympathetically, but I suspected he thought I was overreacting. I also knew that as a devout Catholic, he would never perform a C-section at this stage of the pregnancy if there was even the slightest risk to the baby or me. When I told him how difficult it was to get even an hour of sleep at night, he showed me how to lie on my side to ease the pain without causing the baby any discomfort. I had already tried that—I had tried everything I could think of to find relief—but I decided it would do no good to argue with him. I had great respect for this man who had taken care of me through all my pregnancies, and I knew he meant well even though he didn’t understand what I was going through. I resigned myself to crying my nights away and coping as best I could until the baby arrived. At seven months into the pregnancy, I began to feel an overwhelming sense of foreboding. It wasn’t the normal apprehension and fears most women experience during pregnancy as their bodies change and hormone levels fluctuate. It was a deep knowing, an intuition that something was terribly wrong with my unborn child. One evening at home, I cried out to God, “Please let this baby be okay.” I felt desperately alone as I sobbed and rocked back and forth on the couch. Even though I hadn’t wanted or planned to have another baby, I couldn’t bear the thought that this child might not be normal and healthy. These ominous feelings hung over me like a storm cloud throughout the rest of my pregnancy. I didn’t understand why I felt this way, but it seemed as if something, or someone, was whispering in my ear, telling me that I needed to accept what was coming. One afternoon as I was taking a nap, I dreamed that I heard a loud flapping outside the house. When I got up and opened the front door, I saw thousands of angels filling the sky, their white robes shimmering in the sun as they soared heavenward. I stepped out onto the porch, longing to go with them, but an angel with a white beard looked at me and shook his head. I knew immediately that he was telling me I needed to stay put; it wasn’t my time to go. When I awoke from my nap, the dream seemed so real that I got up and went outside to see if it had actually happened. Strange dreams are common during pregnancy, but I felt certain that God was speaking to me, telling me that I needed to wait on him no matter how difficult the pregnancy was. As my delivery date approached, I could hardly wait to be free of the burden I’d been carrying the past nine months. I imagined the relief I would feel when my agony finally came to an end. I mentally ticked off the days, until late in the evening on February 19, I felt my water break and told Cody that it was time to go to the hospital. We promised our girls that we would call as soon as we had some news, and then we headed for Sacred Heart Hospital. All of my children had been born there, so I knew the baby and I would be in good hands. The familiar surroundings and the kind, upbeat nurses always put me at ease. Cody and I were lost in our own thoughts on the drive to the hospital. All I could think about was that this war going on inside my belly would be over in a few short hours. I was certain this rambunctious child was a boy and that Cody would be elated. But those thoughts didn’t soften the jarring reality that I would soon be the reluctant mother of four. When we arrived at the hospital, I waddled into the ER with Cody by my side. The receptionist at the front desk welcomed me with a warm smile and summoned an attendant with a wheelchair. Since I’d already dispensed with the admissions paperwork a few days earlier, I was immediately taken to a large, open room on the maternity floor, where other expectant mothers in various stages of labor were waiting in smaller curtained areas for their turn in the delivery room. I could hear the low hum of private conversations throughout the room, punctuated by loud groans that issued from behind closed curtains. The attendant wheeled me over to an empty exam area and helped me transfer my big belly onto a rolling gurney that would be whisked down the hall when my time came. As I shifted my weight around to get comfortable, a nurse arrived to examine me and announced that I’d be giving birth in the next few hours. I felt confident that this delivery would be quick and easy since my labors had become shorter with each of my previous deliveries. After about an hour, I was moved out of the exam area into a private room to wait for my labor to begin. With my other children, labor had started immediately after my water broke, but this time, I felt nothing. Cody kept vigil with me but had trouble staying awake. The long hours he’d been putting in at El Kiosco, his restaurant, were taking their toll, so I convinced him to go home and get some sleep. I assured him I would call as soon as the contractions started. After Cody left, I decided I might as well get a few precious moments of sleep before the agonies of childbirth began. I had started feeling some intermittent labor pains by this time, but they were so light I could easily ignore them. I dozed off, grateful for the relative calm and hoping that the rest would give me extra stamina for the work ahead. All of a sudden, searing jolts of pain in my lower back jarred me awake. I had no idea how long I’d been asleep, but as the pain increased and I struggled to focus on my breathing, I found myself thinking that I was way too old to be doing this again. Somehow I had a feeling that this delivery wasn’t going to be as quick and easy as I’d assumed it would be. Before I could ask what she meant, she whisked me out of the room, parked my gurney along the wall, and scurried off to assist a woman who was screaming so loudly I was sure she could be heard for miles. When the nurse finally returned, she examined me right there in the hallway, with hospital personnel and patients passing at will, and wondered aloud whether I could “hold off” until the delivery room was available. By then, my labor pains were so intense, I couldn’t have cared less about privacy. Just get this baby out of me! I silently screamed. When I heard her say, “Okay, I think we can take you into delivery now!” I breathed a sigh of relief. The nurse placed her hand between my shoulders and helped me raise up enough to give it my all. But nothing happened. Again I heard the doctor say, “Now, Lauri, give me a good push!” And again my body failed me. I had no strength, no urge to push—nothing. I could hear the urgency in the nurse’s voice as she came around to the head of the gurney to make sure I understood that I had to help deliver this baby before complications arose. But no matter how hard I tried to force my belly to expel this lingering infant, I had nothing to offer. Another nurse came over to help out, and as the doctor urged me to try harder, he and both nurses put their hands on my stomach and tried to push the baby out. I kept telling them I didn’t know what was wrong. I couldn’t push. I couldn’t feel anything. The doctor’s voice betrayed his concern as he firmly instructed his assistants as to what they should do next. I was near panic. Everyone kept assuring me that the baby was coming, but I was alarmed that my body was refusing to respond as it should. This had never happened during my other three births. Finally the doctor pulled the baby free and quickly placed the newborn in the waiting arms of one of the nurses. As she rushed out of the delivery room, I caught a glimpse of the pale blue form in her hands. But no one seemed to hear me. All the attention was focused on the tiny infant, who had been taken to a small window-enclosed area adjoining the delivery room. I lifted my head to see the nurses bustling back and forth in the room and hovering over my newborn. Thankful for the care my little one was receiving, I rested quietly on the gurney, patiently waiting for someone to tell me what had happened. A faint cry reached my ears from the other room. Whatever was wrong, at least my baby was breathing. Eventually, one of the white-gowned nurses came over and assured me that all was well. Rushing the baby out of the delivery room had been a “precautionary procedure,” she told me. They had just wanted to make sure the baby’s airway was clear so she could get plenty of oxygen. She? The nurse smiled and announced that I had delivered a little girl—six pounds, five ounces. It really didn’t matter to me whether it was a boy or girl; I was just relieved the baby was all right. Nine months of agony had finally come to a welcome end. Minutes later, another nurse entered the room carrying my newborn. She lifted the baby into the air so I could get a good look at her and then plopped her down on my chest. While I waited for Cody to arrive, I caressed her feather-soft head and gazed at her tiny body. I was amazed that such a small thing had caused so much turmoil. When Cody finally entered the room and came over to where I lay, I knew what he was expecting to hear. I had been assuring him for months that he would finally have his boy-child. I swallowed hard as I glanced at Cody and announced the news with as much enthusiasm as I could muster. I hoped he would give me a smile, a reassuring look, any sign that he was happy I had given him another little girl. But instead, a look of bitter disappointment washed over his face. His final hope of having a son had been crushed. I knew that Cody would eventually get over his disappointment and embrace his youngest daughter with the same fatherly love he had always shown our other girls. But I was sad that I hadn’t been able to give him the baby boy he had wanted so badly. Later, when I was settled in my hospital room, the nurse brought my newborn to me so I could breastfeed her. “So you named her Farina—like the cereal?” she asked as she placed the baby in my waiting arms. As I held my little one, I noticed that she was having trouble sucking, but I didn’t think there was any need for concern. She had just gone through a traumatic delivery, so I really wasn’t surprised that she’d be too weak to suckle. With a little practice, she’d soon be nursing as well as any hungry newborn. Farema looked so perfect as she lay fussing in my arms. All my worst fears of the past nine months melted away as I gazed at her angelic face. A baby this beautiful couldn’t possibly have anything wrong with her. This fourth and last child of mine was already curling her tiny baby fingers around my heart. There was something extraordinary about her, and I sensed that God had something very special planned for her life. What I didn’t know was that little Fee would turn my world upside down. There are some books that as soon as you hear about them, you know you want to read them. For me, Lonely Girl, Gracious God, was such a book. Since I grew up with a younger brother who was developmentally disabled, I know firsthand what a roller coaster ride dealing with a special needs child can be. Lauri Khodabandehloo, the author of this book, knows as well. From the moment of her birth, Lauri’s daughter, Farema, was different; she suffered from autism. That’s not to say the book is a downer. Rather, it provides an account of one family moving ahead in faith and finding God there waiting to help. Life didn’t instantly become peaches and cream. Far from it. But our creator maintains a special relationship with these special children, a relationship that sometimes awes and amazes. The same holds true for their caregivers. As Lauri’s story amply demonstrates, God provides grace and strength in the face of hardship and confusion. At times, her factual account of the tragedies and triumphs, joys and sorrows she and her family encountered while raising a daughter with autism will leave you teary eyed. This book will strengthen your faith as it illustrates the myriad ways in which God uses adversity to draw us closer. 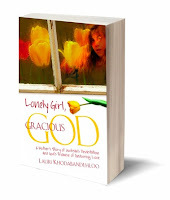 Lonely Girl, Gracious God is an inspiring book that deserves your consideration regardless of the trials you may, or may not, be currently facing in your life. It goes without saying that it is must read for those dealing with a special needs child. We highly recommend it.